The financial and economic crisis has cut global wage growth by roughly half in 2008 and 2009. Based on a sample that covers a large chunk of the world’s 1.4 billion wage-earners, the Global Wage Report 2010/11(i) finds that the global growth in real monthly wages slowed from 2.7 and 2.8 per cent in the two years before the crisis (2006 and 2007) to 1.5 and 1.6 per cent in 2008 and 2009.If China – where data coverage is limited to fast growing “urban units” – is excluded from the sample, the average wage growth drops from 2.1 and 2.2 per cent before the crisis to 0.8 and 0.7 per cent in 2008 and 2009. In 2010, preliminary results suggest that wages have started to recover, but not as fast as profits and not yet to pre-crisis levels. Generally, wages have taken a bigger hit in developed than in developing countries. 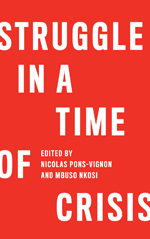 This short-term cost of the crisis to workers must be understood in the context of a longer-term trend towards wage convergence across regions. 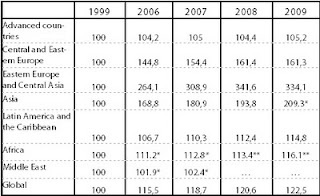 Table 1, taken from the Global Wage Report 2010/11, shows that while average wages more than doubled in Asia since 1999 and more than tripled in Eastern Europe and Central Asia (which partly reflects the depth of the wage decline in the 1990s), wages stagnated in advanced countries, increasing by just about 5.2 per cent in real terms over the full decade. This is less than the rate at which Chinese wages grow in one year. The base from which Chinese wages are growing remains, of course, much lower. The average American worker still earns in about one month what a Chinese worker in the private sector earns in one year. The point, however, is that the gap is closing and that the economic and financial crisis – as well as the slow recovery of wages in the West – has accelerated this convergence. * Provisional estimate / ** Tentative estimate / … No estimate available Source: ILO Global Wage Database. One factor that contributes to the convergence is the faster growth in labour productivity in developing regions. 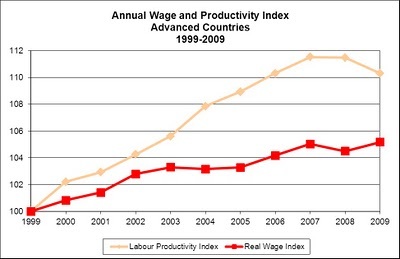 Another factor is the apparent decoupling between productivity and wage growth in advanced countries. According to one calculation, while average wages in advanced countries grew by 5.2 per cent over the last decade, labour productivity increased by 10.3 per cent (see Figure 1). In other words, wages grew only half as fast as labour productivity. 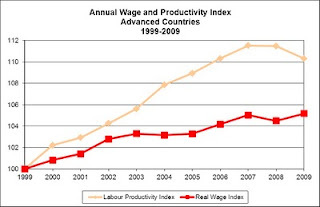 One simulation indicates that if wages had grown as rapidly as productivity, average wages in advanced countries could have gone up from roughly US$ 2,864 per month in 1999 to $3,158 in 2009 instead of only $3,012 (figures are expressed in 2009 PPP dollars). Distributed over all paid employees, this decoupling may thus have cost workers in advanced countries hundreds of billion dollars in forgone wages over the full decade. These resources have not exactly been lost to everyone – since they went into profits and investment. But this redistribution has certainly limited non-credit based household consumption, and at least partially explains the low interest rates that were needed in some countries before the crisis to keep consumption going. Note: Since the indices refer to a weighted average, developments in the three largest advanced economies (United States, Japan and Germany) have a particular impact on this outcome. The long-term losses to labour have not been equally distributed between all workers. Those who have suffered most from the decoupling are the workers at the middle and the bottom of the wage distribution. Those at the top have fared better, as indicated by the increasing gap between mean and median wages in many countries and epitomized by the ongoing bonus-bonanza among the world’s CEOs. While the highly educated elite has transformed into global “superstars”, workers with average skills have become the victims of the global compression in labour costs. It is at the bottom of the wage distribution that things have deteriorated the most. This is revealed by the steady increase in the share of workers on “low pay”, defined as the proportion of workers whose hourly wages are less than two thirds of the median wage across all jobs. The latest figures show that since the second half of the 1990s, relative low pay has increased in about two thirds of countries (25 out of 37 countries). In advanced countries, low pay now afflicts about one in every five workers, or about 80 million people. At the country level, the incidence of low-wage employment still shows considerable variation. When full-time workers are considered, the incidence of low-wage employment varies from less than 10 per cent in Sweden and Finland to about 25 per cent in the United States and the Republic of Korea. But low pay is not just a problem in developed economies. Case studies show that in recent years low-paid wage work has also increased in a number of developing countries, for example China, Indonesia or the Philippines. What differs, of course, is the context, which is much more dynamic in emerging economies. While low pay in advanced countries is often the outcome of stagnating or decreasing incomes at the bottom, low pay in rapidly growing developing countries has more to do with the rapid progress of the middle class. This, however, does not mean that low pay is not a policy issue in emerging economies. The labour unrest in Chinese factories in 2010 showed that low paid workers expect their conditions to improve in line with overall social and economic progress. Wage trends seem to point towards the complex process of global integration, where average wages converge towards the (stagnating) levels of advanced countries and where inequality between top and median, and median and bottom wage-earners increase almost everywhere. There are exceptions, of course. This trend nonetheless points towards the importance of international coordination on wage-related matters. The collective action problem is particularly acute in the Eurozone, where any country’s attempt to link wages more closely to productivity growth immediately leads to a decline in external competitiveness relative to Germany – the star-performer where average wages actually declined by 4.5 per cent over the last 10 years despite a (modest) increase in labour productivity. Outside of the Eurozone, wage compression in China similarly limits the room for wage increases in other emerging economies. At the national level, countries should be encouraged to support low-paid workers through a combination of minimum wages and income transfers. Minimum wages have the potential to make a major contribution to social justice. In the United Kingdom, for example, the minimum wage was identified in 2010 as the most successful government policy of the past 30 years in a survey of British political experts. In this survey(ii) , a successful policy is defined as one which is successfully implemented, has a positive social and economic impact, and can be sustained over time. Perhaps most importantly, the much-feared negative impact on UK jobs failed to materialize. The positive effect of the minimum wage has been compounded by the working tax credit, a system of so-called “in-work benefits” that reduces taxes for the low-paid who work for a minimum of 16 hours per week. Both minimum wages and “in-work benefits” are complementary, for without the former, companies may feel that they may quite simply shift some labour costs onto tax credits. (iii) “Lula’s legacy”, 30 September 2010.
from household data, ILO Conditions of Work and Employment Series No. 26, 2010 (Geneva, ILO).